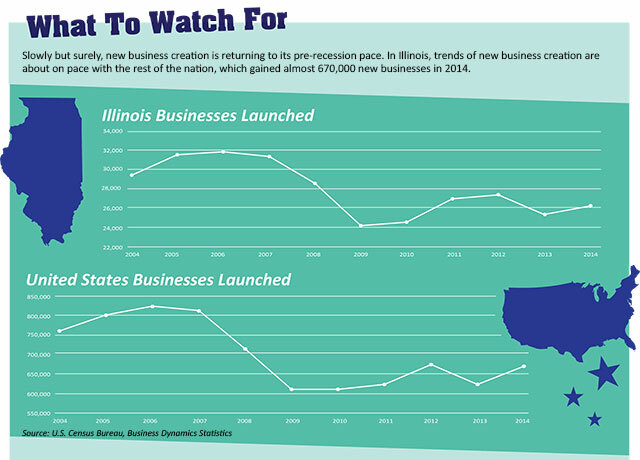 Spurred by increasing demand for products and services, many of our region’s small business leaders are making the commitment to expand or to launch their new enterprise. Before you pull the trigger, learn how banking services can help you to reach your goal. Rick Francois knows a thing or two about business starts and growth. In a sense, the banker is also an entrepreneur. The executive vice president and chief credit officer of American Community Bank, with four locations in McHenry County, Francois is one of three principals who helped to launch the bank in 2000. Together, the American Community team built a board of like-minded directors, assembled investors and plowed through regulatory requirements. Whenever he meets with someone who wants to start or grow their business, Francois knows where they’re coming from. And lately, he’s having that conversation more often. Business owners in our region, increasingly optimistic about their fortunes, are making the commitment to launch or expand their enterprises. There’s still reason for caution, yet many businesses are finding they can’t help but pull the trigger. The opportunities are too present to be ignored. For those smaller and mid-sized businesses in our region that are ready to accept the risks, community bankers stand ready to be a partner in growth. Most bankers liken lending to a box. A mortgage or consumer loan might fit into a fairly rigid box – either you fit or you don’t. But in commercial lending every deal is unique. A business in startup or growth mode is most in need of capital and credit – capital to support big-ticket expenses and credit to bridge one’s cash flow needs. Bankers have a number of options available. Grammer often pushes startup businesses toward products through the federal Small Business Administration (SBA), which provides a variety of funding solutions to small enterprises. Clients pursuing SBA loans need to consider cash flow projections, a good credit score for the business owner(s), and some form of collateral. And yes, you will need to put some “skin in the game,” whether it’s a home, business assets or other financial assets. Bankers want to know the entrepreneur is fully committed. Francois, of American Community Bank, considers the relationship between banker and business owner to be a partnership, where both parties work toward accomplishing a common goal. When it comes to existing businesses, Grammer finds that asset-based lines of credit are a helpful tool to fund working capital needs. These kinds of loans work by providing up to a percentage of a business’ accounts receivable, and they will require more stringent financial reporting. Credit lines will fluctuate based on the amount of receivables. Technology is also making it easier for bankers and their clients to work together, even if it’s during unusual hours. Online banking systems, accessible 24/7, enable customers to monitor cash flow, transfer funds, make payments, transfer money on existing lines of credit, and any number of other essential services. “We find that our more successful businesses are taking advantage of that, and really going online, doing everything online and monitoring it on a daily basis,” says Grammer. From a banker’s perspective, it’s important to understand the people you’re working with and lending to. Before granting a loan, John McNamara, first vice president and senior lender at The State Bank of Geneva, looks closely at the individual and how thoroughly they’re prepared for business ownership. Nearly 80 percent of businesses will fail in their first year, according to the SBA. Because the risk of failure is a strong possibility, Grammer wants to know that a new business owner can succeed, despite the challenges ahead. For an existing business, Grammer looks closely at the financials. Do they have organized records and projections? Are there any warning signs, like overdrafts on their accounts or high balances on their existing line of credit? Zonts, too, likes to see detailed documentation, including one to two years of cash flow projections. He’s looking for details on expected revenues and expenses, profitability, and the impact on the business’ current profit/loss statements. Because new businesses might not have these documents, Zonts helps newcomers to find resources. He often directs clients to the SBA documentation library online and to Service Core of Retired Executives (SCORE), a nonprofit whose members provide insights and advice to business owners. Ania Dwyer, vice president of commercial banking at Elgin State Bank, looks for similar signals, but she’s also looking at the debt service coverage ratio. 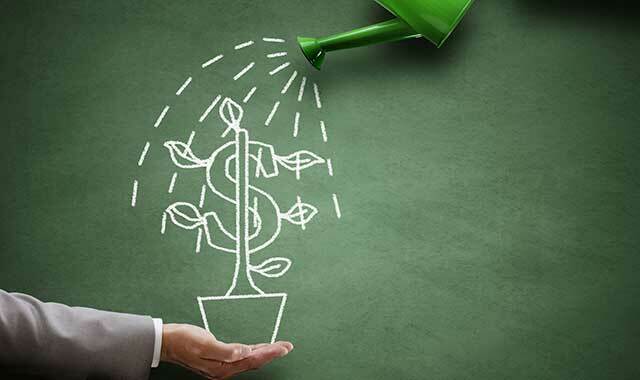 Businesses may need to fall within certain parameters to be eligible for financing. Don’t discount the value of financial reporting, adds Zonts. In some cases, that documentation is required by law, to hold both banks and business owners accountable. Business owners who find themselves falling behind in preparing financial statements in-house should consider paying a qualified accountant. He understands that sometimes it may seem overly intrusive when banks ask for so many details, but federal regulations, such as the Dodd-Frank Act, require it. Growth was always in the cards for American Community Bank. Within a year of opening its first location, in Woodstock, in 2000, the bank was surpassing $100 million in assets and preparing to open a second location in McHenry. The bank continued connecting with its market and over the next seven years two more banks were opened, one in Crystal Lake, another in Huntley. As a bank principal and director, Francois understands the challenges and risks that come with business growth, and he’s able to share that knowledge with clients. In more than 20 years of banking, Francois has seen his share of new enterprises fall victim to their own success. Dwyer, of Elgin State Bank, fields many calls from prospective business owners and people who run growing companies. She finds many newcomers are surprised by the level of commitment required to succeed. Many aren’t aware that their own credit score may also factor in to a lender’s decision. Francois believes one of the first phone calls a growth-minded business owner should make is to a trusted banker. That person can help the owner to connect with the right partners who can make a dream into reality. McNamara, of State Bank of Geneva, encourages his clients to become a true partner – to be detailed, honest and diligent. When there’s synergy between a banker and his client, that’s when McNamara believes the relationship is at its best. Too often, Francois sees business owners who forget that such professionals are ready to help. The client was floored. Could it really be that this banker was emailing him late at night, responding almost in real time? Yes, he was. Such dedication is part of the reason State Bank of Geneva has continued to serve its community for 114 years. But it’s also the hallmark of community banks – that is, a locally owned and operated institution, often one with less than $1 billion in assets. Such banks distinguish themselves by providing friendly, reliable, local service, especially to smaller firms. Francois and his partners created American Community Bank in reaction to their own disappointing experiences in large, national institutions. “A bank our size, your differentiator has to be your personal service, your personal touch, and your ability to know your clientele a little deeper than another organization would,” he says. The crew at Elgin State Bank delivers the unusual combination of a small bank within a big bank. A locally controlled part of St. Charles Bank & Trust, Elgin State also is a locally operated component of Wintrust Financial, one of the largest regional banks in the Chicago area. Clients at Elgin State receive the local control they can expect at a small bank combined with the additional services of a larger bank. Dwyer and Zonts have fielded a number of calls this year from people interested in starting or expanding a business. Among those calls, they’ve heard of people wanting to get into real estate and house flipping (still very risky, says Dwyer), manufacturers and distributors needing to satisfy orders, and medical practices setting up shop. Zonts recently helped a store display manufacturer to acquire equipment, helped an aerospace manufacturer to purchase a building and equipment, and a refrigeration distributor to double its footprint. He’s also seeing strong expansion in warehousing and logistics, as more consumers purchase goods and services online. It’s all based on actual growth, he says. In other industries, Zonts finds there’s still trepidation on the real estate investment front, especially as retailers struggle to fill vacant strip malls along Randall Road. Challenges within the real estate market are also causing concerns in McHenry County. A fast-growing county when the market crashed in 2008, the area experienced a hard hit to construction jobs. Construction and real estate trends in the county seems to be spread inconsistently. For Grammer, whose team works the northeast part of the county but also serves Lake and Walworth counties, real estate is rebounding, albeit slowly. Francois sees the same effect in the southern quadrant of McHenry County, though he sees development picking up in industrial and commercial development. Where he’s seeing a greater effect from the recession is in home equity – a valuable tool for new business starts. Meanwhile, in southern Kane and western DuPage counties, McNamara is seeing a pickup in restaurants, small businesses and multifamily dwellings. Area bankers see a number of signals that support their optimism. For Grammer, it’s the lifespan of equipment. He believes we’re approaching the end of a depreciation stage, and tax savings may incent business owners to quit delaying their purchase. Zonts believes there’s still a lot of uncertainty, all depending on what happens in Washington, DC. Health care reform, tax reform and other priorities of President Donald Trump’s administration stand to impact regulatory demands, taxes and expenses – all of which can affect staffing and profitability for small businesses and their community bankers. While the Federal Reserve’s interest rate remains historically low, power is in the hands of those who are willing and able to start or grow their business idea. “The cost of capital is still historically low,” says Francois. Looking around his market, he’s optimistic that the stars are aligning. This entry was posted on Tuesday, May 2nd, 2017 at 12:00 pm	and is filed under Northwest Business Magazine, Top Posts. You can follow any responses to this entry through the RSS 2.0 feed. Both comments and pings are currently closed.